Welcome Home to Preakness Pointe of Triple Crown! 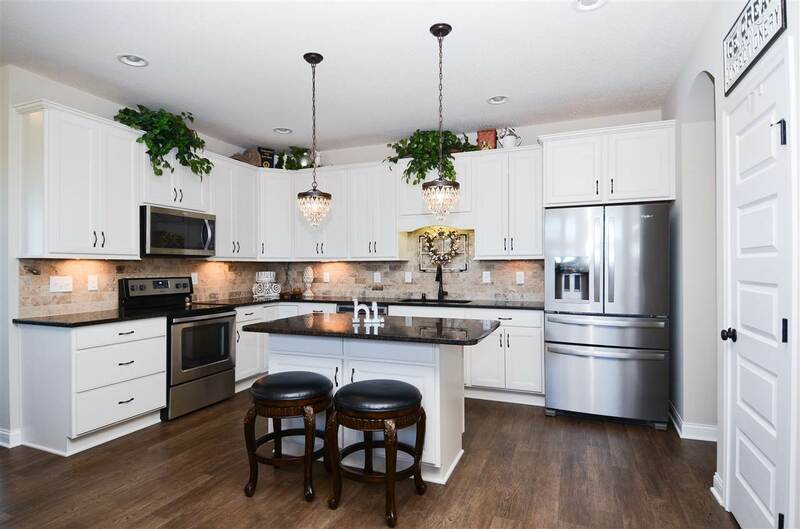 Buyers will love this low maintenance Wilmington Plan patio home with open floor plan, gourmet kitchen & covered patio with Extended screened in deck. Front porch extended along with wainscoting in the entry & dining area, finished garage interior, kitchen cabinet upgrade & under lighting, brick fireplace extended to the full wall & hearth, walkout basement, hallway nook & iron Spindles for the railing in dining area. The basement is ready for your personal touch. Richwood Rd to R on Hicks Pike. R on Man O&apos; War R on Cloverbrook, L on Woodlawn. Directions: Richwood Rd To Right On Hicks Pike. Right On Man O&apos; War To Right On Cloverbrook To Left On Woodlawn.